Although Stevie never races on the track, his life has always been under starter’s orders because he has no family to call his own. After being found straying as a puppy, he was rescued by the Dogs Trust and has been pampered in their care. Tomorrow (April 4) marks the seventh year that Stevie has been waiting to be rehomed and the leading welfare charity says whoever takes him on will be a winner. For all his bad luck, Stevie has been fortunate because the Dogs Trust pledges to never put a healthy animal to sleep no matter how long they have to be looked after at their kennels. Carers at Dogs Trust Shrewsbury are astonished that Stevie has been waiting 2,550 days for someone to adopt him, far longer than any of their dogs, yet they have not given up home he will one day make a perfect pet. 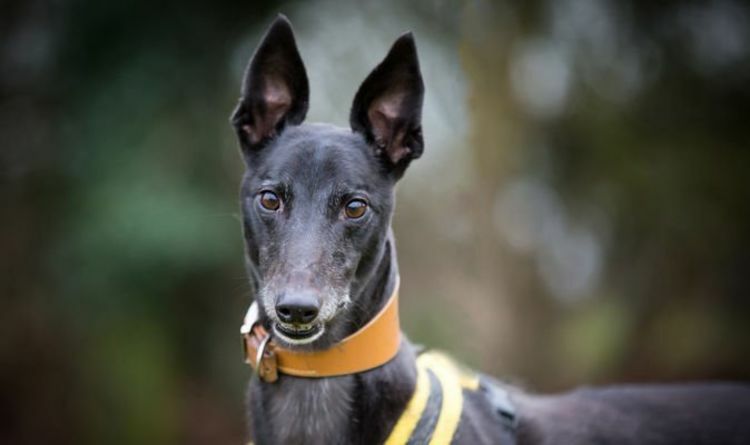 Louise Campbell, manager at Dogs Trust Shrewsbury, says: “Stevie is a gorgeous, giddy boy, and when he arrived at just a few months old, we would never have imagined that we would still be searching for his ideal home all these years later. Not long after Stevie arrived at the Dogs Trust he was diagnosed with exercise-induced collapse, which means the rescue team has to be careful with the amount and type of running about he does. Like most greyhounds, he loves spending most of the day snoozing in a comfy bed. To keep Stevie contented, staff take him for plenty of off-site walks and even sleepovers at their homes, describing him as the perfect house guest. Ms Campbell added: “It is one of the myths about Greyhounds that they need lots of exercise, but most don’t and Stevie is no different, with a couple of nice walks and sometimes a short run and he’s a happy boy. “He is a pleasure to head out on an adventure with as he walks beautifully on the lead and loves meeting other dogs. Between walks he is more than happy to do some fun training and impress us with his latest trick, and then relax and watch the world go by. Ms Campbell continued: “We will continue to love and look after him until the day comes when he heads off to his forever home. "When the time comes to finally say goodbye it will be a fond but very tearful farewell.